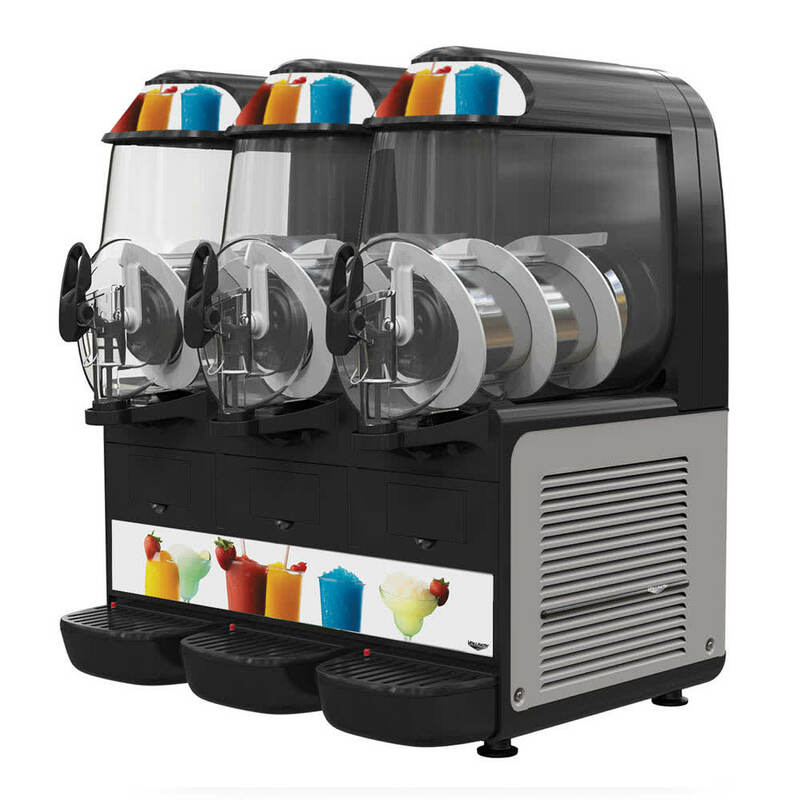 Perfect for chilling, freezing, and serving multiple beverages, the Vollrath VCBF168-37 frozen drink machine has three bowls. It can be used for milk-based products, alcoholic beverages, smoothies, and slushes. Lights in the bowls highlight product, increasing impulse sales. To facilitate cleaning, the spigots are made without gaskets that create cracks and crevices. In our frozen drink machine guide, we break down the features of these units. "My husband and I bought this machine 3 years ago for our son's 10th birthday party, and it was a success! The machine performed as advertised and..."
"I've had this slushie machine for 5 years and I am very satisfied with it. It still works, and I have not had to replace any parts yet. It's a gr..."
"My husband and I bought this machine 3 years ago for our son's 10th birthday party, and it was a success! The machine performed as advertised and it still works perfectly to this day! We had a little trouble assembling it but eventually we got the hang of it." "I've had this slushie machine for 5 years and I am very satisfied with it. It still works, and I have not had to replace any parts yet. It's a great hit at parties, and school events for my kids."